For the second weekend in a row, Mr. Crowell and I have stretched things out a bit. I've got the family camp solo hundy coming up and it would be nice not to die an ignominious death along that route, so our weekends have served as training rides. 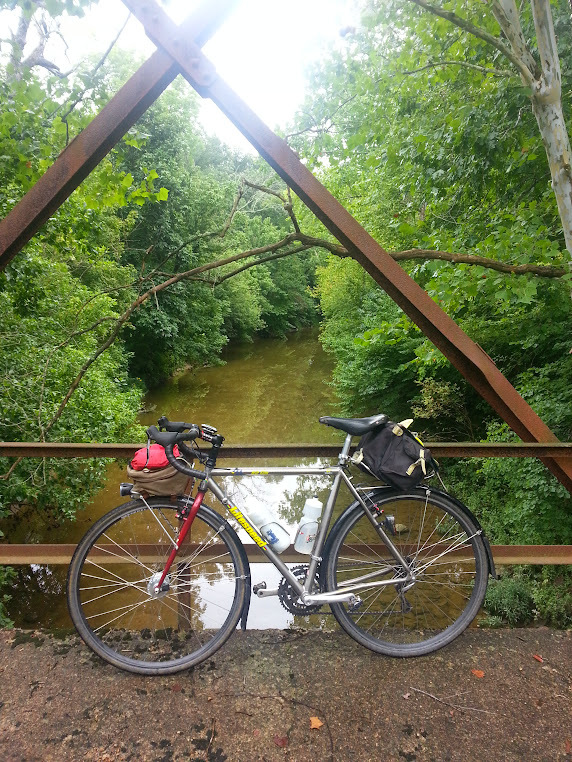 Today we did our Waterline Rd/Charlestown route, which is a popular, doable 50-miler. To tag on more suffering, we then added a loop to New Washington via Tunnel Mill and back along Chas-New Market and returned to the 'Ville with 75+ miles in hand. Fact is, I challenge anyone to come up with a better local loop than that combo in the area. It has rollers, a few climbs, lots of empty farmland, and some open sky as well to let the soul soar. It's great, and it was today too. On the out leg I battled some personal function issues and on the return we battled some heavy downpours, so you can't call it a blessed ride, I guess. It was one heck of a great way to spend the first half of a Sunday. I've been feeling pretty good on the bike, gaining fitness and confidence. Good stuff. And thanks to Mr. Crowell for the company. 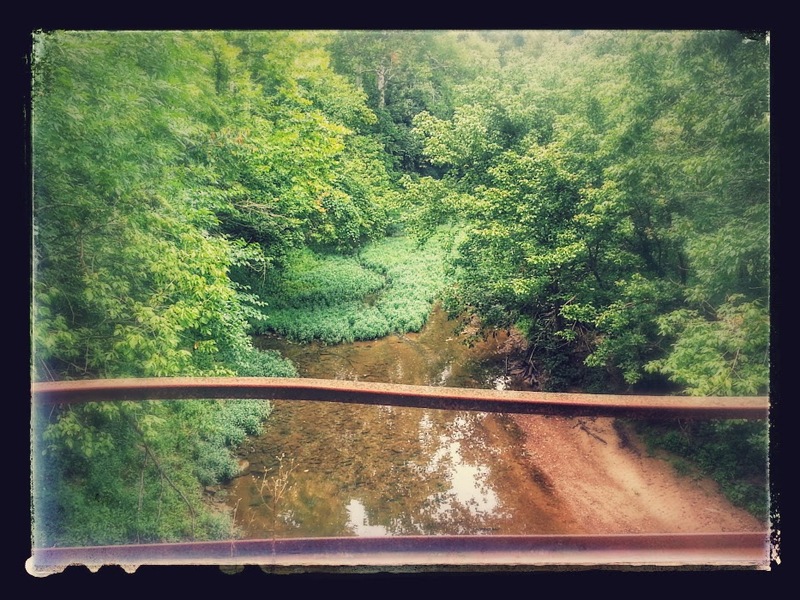 Blueridge along a closed bridge. It did the job today as the rain bike. 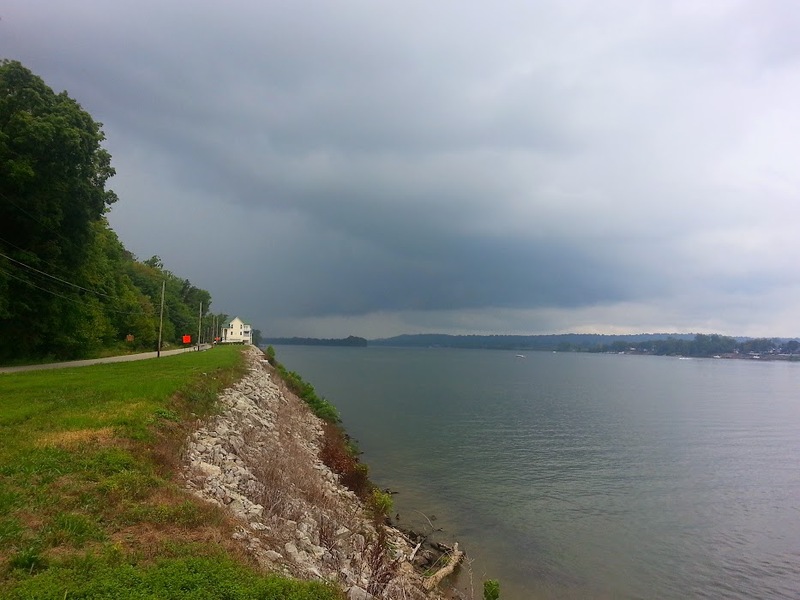 Heavy clouds on our return along Utica Pike, just at the end of very heavy rain. 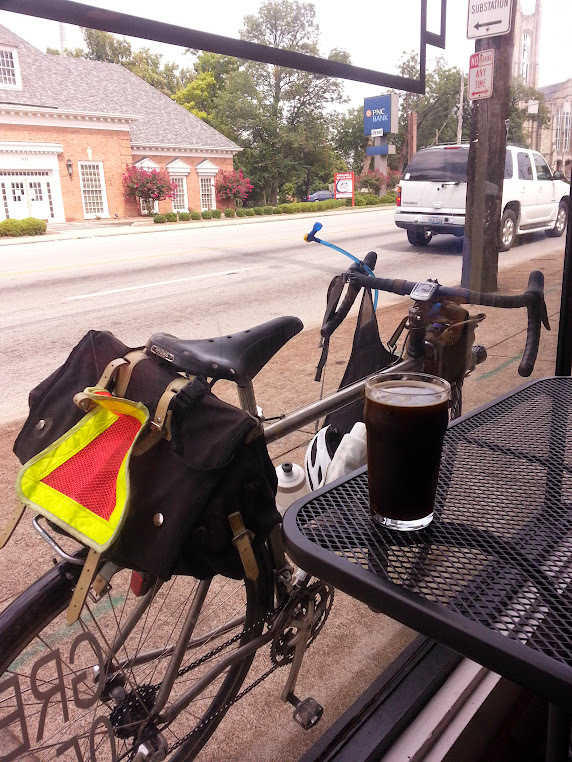 A well-earned post-ride salute, just before the street was busy with police cars visiting a cop car/drunk guy accident. Red-tailed Hawk- leering from an electric wire. Didn't flinch.